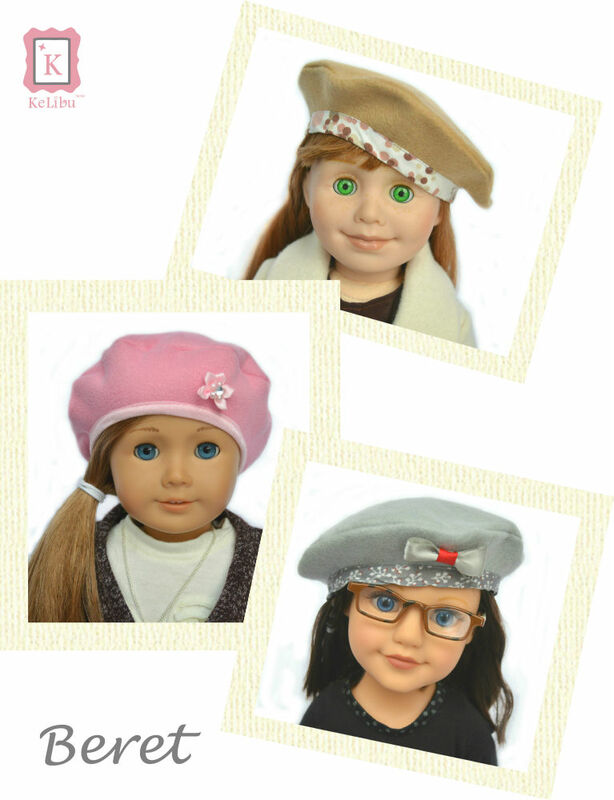 This digital doll clothes pattern will let you sew a stylish beret that is designed to fit a variety of 18 inch dolls such as American Girl® dolls, Our Generation® dolls, Maplelea® dolls and Journey Girls® dolls. 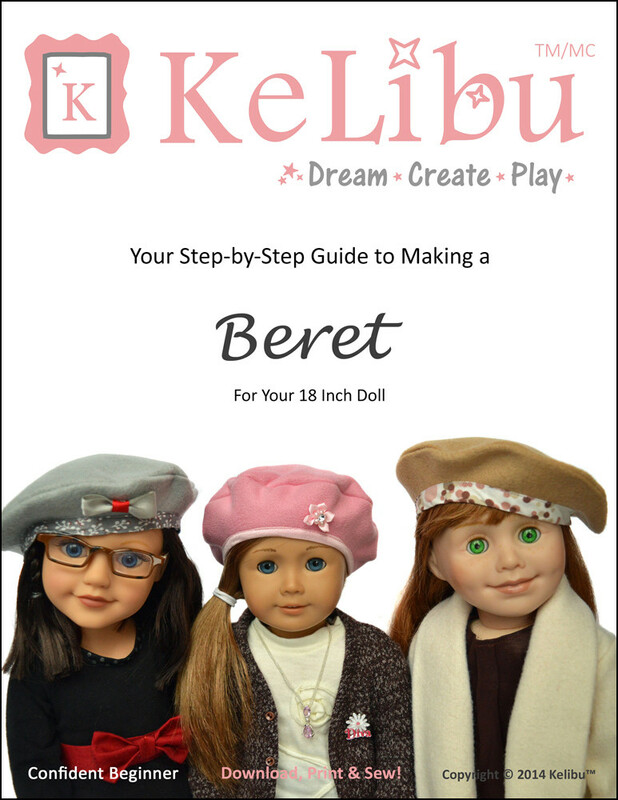 Classic and versatile, the beret is a French icon. 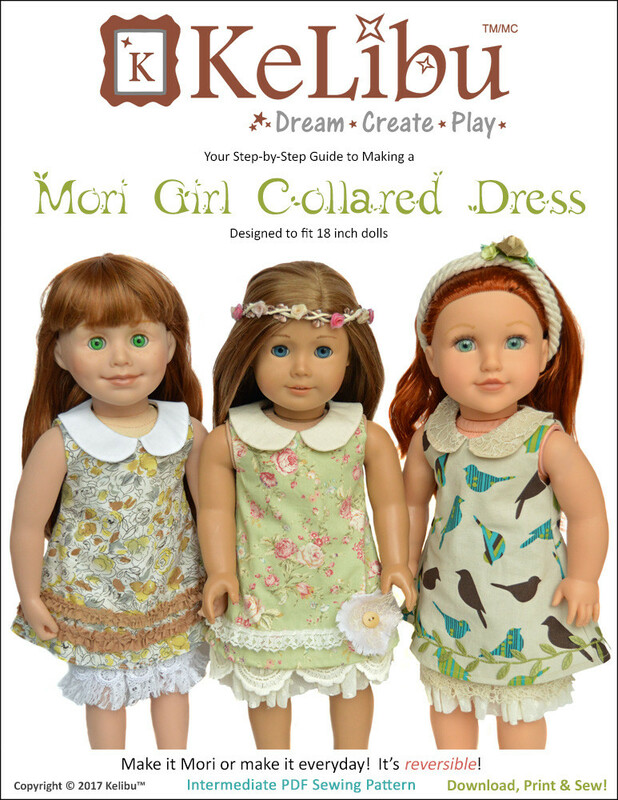 Your dolls will be cozy and chic with this wardrobe staple. Make the lined or unlined version. Finish the edge with fold-over elastic or bias binding in a complimentary or contrasting colour. 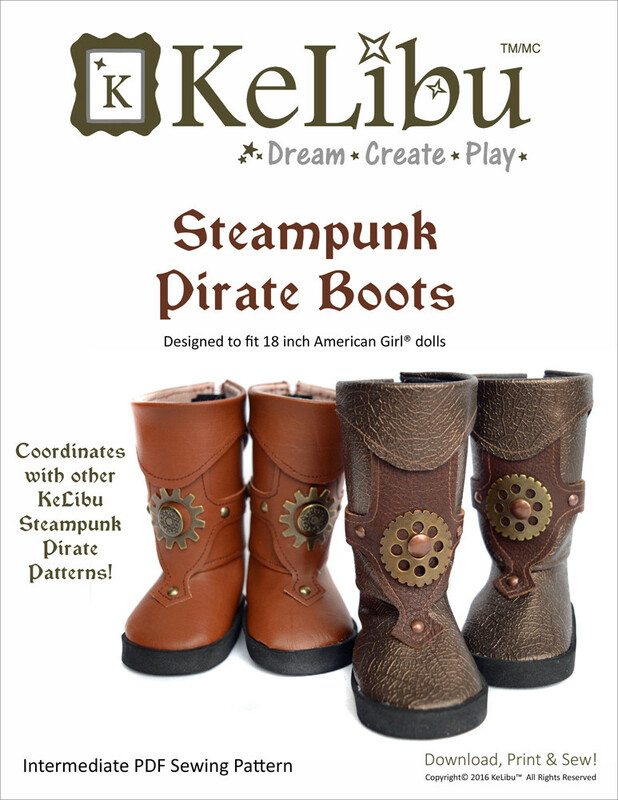 Add bows, flowers or gems as embellishment. 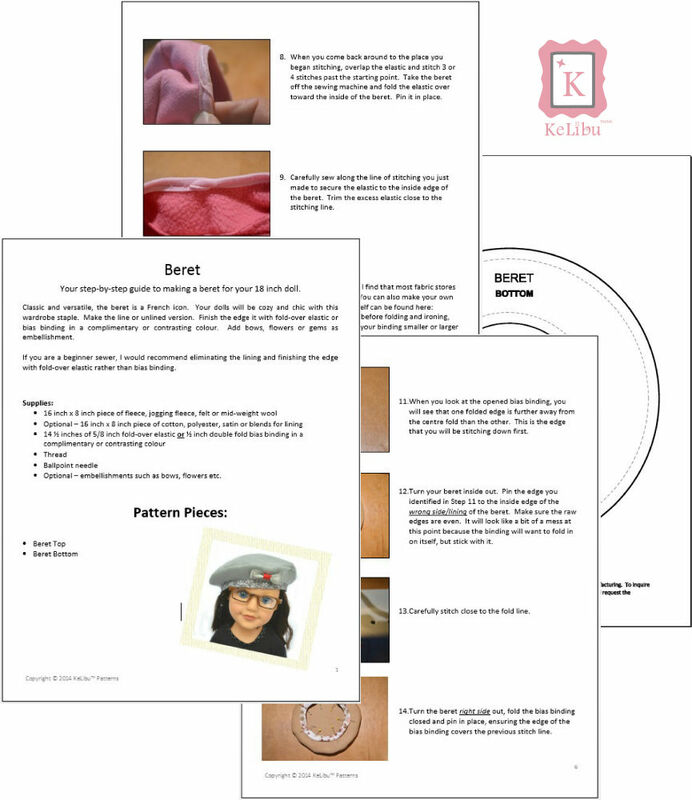 If you are a beginner, eliminate the lining and finish the edge with fold-over elastic rather than bias binding. 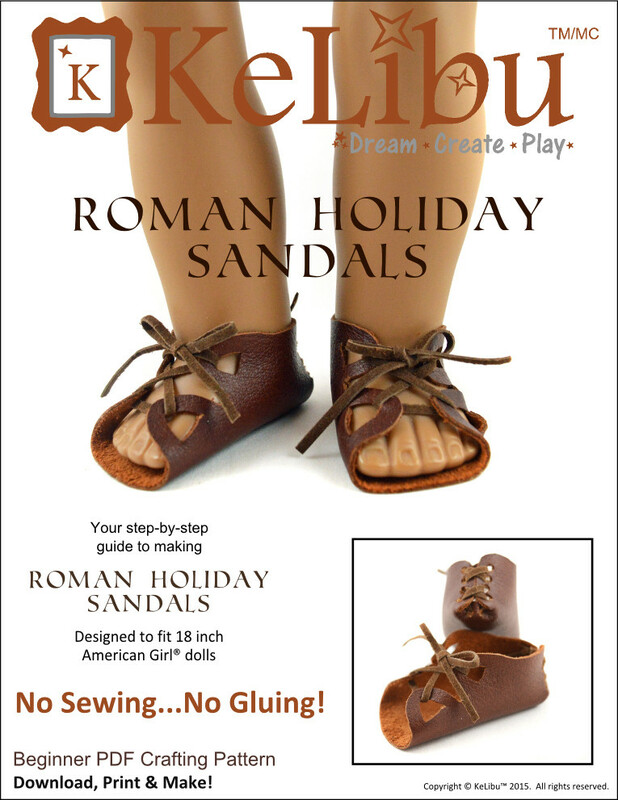 Optional – embellishments such as bows, flowers etc.